Be the first to share your favorite memory, photo or story of Dr. H. Martin. This memorial page is dedicated for family, friends and future generations to celebrate the life of their loved one. 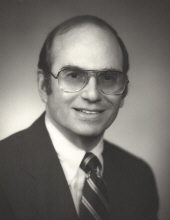 Dr. H. Martin Blacker died on January 12th, 2019 after a long-standing history of coronary artery disease and more recent diagnosis of cancer. Dr. Blacker was a neurosurgeon who served on the faculty of Baylor College of Medicine in Houston from 1979-1998 during which time he started and directed the Pain Control and Functional Restoration Clinic under the aegis of the Department of Neurosurgery. Doctor Blacker obtained his MD and MSc in biochemistry from the University of Nebraska College of Medicine following which he served as intern, resident and chief resident in Neurosurgery at the Johns Hopkins Medical Institutions in Baltimore. After residency he was appointed to an advanced post-doctoral NIH fellowship in Neurophysiology at the University of Wisconsin following which he spent a year of further Neurosurgical training in Montreal. Dr. Blacker then joined the faculty at the University of Kentucky Medical Center where he ultimately became Chief of the Division of Neurosurgery. The medical students at the University of Kentucky awarded him the “Golden Apple” as outstanding clinical teacher and selected him to be the Commencement Speaker. The medical faculty of the University of Kentucky voted to select him as UK’s candidate for the Markle Scholarship in Academic Medicine. Dr. Blacker was recruited to the Baylor College of Medicine in Houston in 1979. Dr. Blacker was also part of the Vistage speaking community, providing presentations on “Stress, Health & Longevity” to executives across the United States. He was a member of the scientific honorary society, Sigma XI, and the medical honorary Alpha Omega Alpha, and contribute over 40 articles to the neurosurgical literature. He is survived by his wife Jeanne; children Nancy Blacker, David Blacker, and Mimi Blacker; step-children Mark Montgomery, Beth Meyer, and David Montgomery; sisters Jeanne Rosenblum and Barbara Kamesar; thirteen grandchildren and one great-grandchild. A Celebration of life will be held at 1:00 PM, Saturday, April 6, 2019 followed by a Gathering of Family & Friends from 2-4 PM at Clark Legacy Center, Brannon Crossing. To send flowers or a remembrance gift to the family of Dr. H. Martin Blacker, please visit our Tribute Store. "Email Address" would like to share the life celebration of Dr. H. Martin Blacker. Click on the "link" to go to share a favorite memory or leave a condolence message for the family.